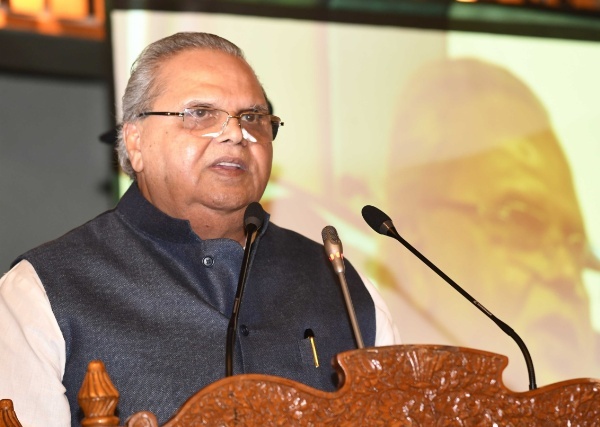 Jammu and Kashmir Governor Satya Pal Malik on Tuesday spoke to Union Minister for Human Resource Development, Prakash Javadekar and sought his intervention to ensure smooth studies of the Kashmiri students at the Aligarh Muslim University (AMU). Governor also spoke to Vice-Chancellor of the Aligarh Muslim University, Prof Tariq Mansoor in this regard, said an official handout. Malik urged Javadekar and Prof Tariq to ensure that the issue is resolved at the earliest and there is no disruption of studies of the Kashmiri students and they are allowed to continue their studies in a safe, secure and well-disposed academic environment. Over 1200 Kashmiri students studying at the AMU have threatened to leave the campus en-masse on October 17 if the sedition and other charges against two Kashmiri students were not revoked. Two Kashmiri students were booked after they allegedly tried to hold funeral prayers in absentia for Hizb ul Mujahideen commander Manan Bashir Wani—a former PhD scholar of the AMU. Wani (27), who was killed in north Kashmir’s Handwara area on October 13 in a gunfight with the government forces, had left the university in January this year and joined the militant outfit.